Gwen Stefani was spotted at Toontown in Disneyland with her boys Kingston(not pictured), Zuma and Apollo in Anaheim, California on November 27, 2015. The singer cuddled her little guy as they rode some of the rides! 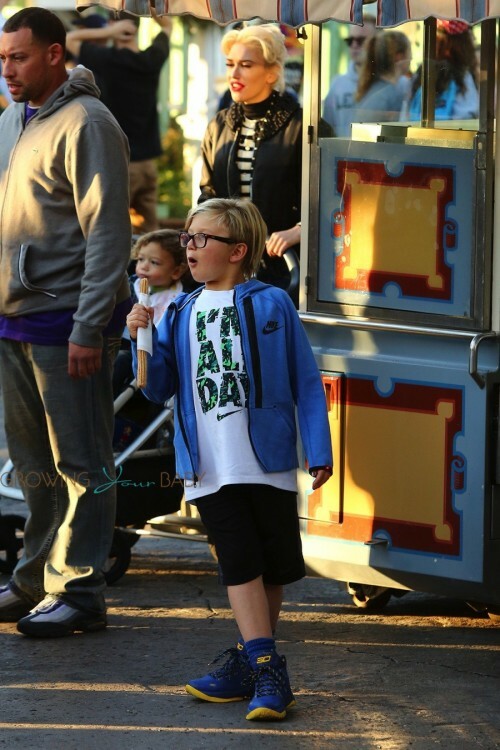 Later Gwen pushed her guy in his stroller while Zuma noshed on a churro. All glammed up, she shared a photo of herself riding the carousel. and also with Darth Vadar! Gwen is currently filming Season 9 of The Voice. She still has 3 contestants left in the competition, but there is only two weeks left, so it will be exciting to see if one of her artists can make it to the end!